Native Roots, a Colorado chain of marijuana dispensaries recently opened a marijuana gas station next to one of its Colorado Springs locations. With today’s busy schedules, convenience is often a number one priority in decision-making. When companies are able to add monetary value to convenience, like let’s say through a rewards program, we are quick to take advantage of the situation. So, when the first marijuana gas station opened up recently in Colorado Springs, Colorado, it didn’t take long for people to pull up to “puff pumps”. Native Roots, a Colorado chain of marijuana dispensaries recently opened a gas station next to one of its Colorado Springs locations. Colorado law prohibits dispensaries from selling anything other than marijuana and marijuana accessories, so the dispensary and gas station have separate entrances. “It’s really just kind of pairing the convenience in one specific stop,” Native Roots spokesperson Tia Mattson told local NBC affiliate KOAA. 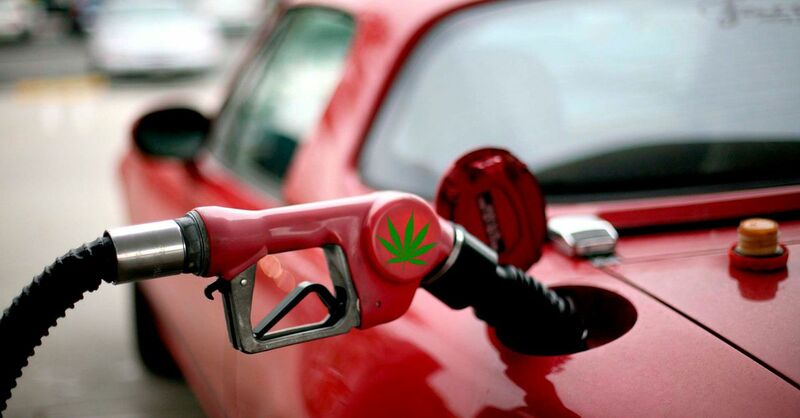 Now, medical patients who establish Native Roots as their caretaker will receive a free tank of gas, and a discount gas card that will earn them .15 cents off each gallon of gas when they purchase something from the dispensary. If you choose not to sign over to Native Roots, then you will be eligible for a .05 cent discount when you purchase something from the dispensary. Unfortunately for now, the grass at this “gas and grass” is only available to medical patients. People who do not have a medical card are free to purchase gasoline and enter the convenience store (attached to the gas station) as normal. “I believe we’ll have lottery tickets, beverages, cigarettes and similar things that you would pick up in a convenience store,” Mattson said. So far there are no public plans for Native Roots to open a recreational “gas and grass” location, but the idea seems like it will catch on. With dispensaries closing at 7pm it is often difficult for people to run there after work errands before getting to the dispensary. Just like the Girl Scout who set up shop outside the dispensary, Native Roots is bringing convenience to smokers in a welcome way. The only thing left to do to is open a Red Box kiosk and attach a sandwich shop and Native Roots will be run ragged with business. So whether you need to grab a tank of gas or you just want some grass, Native Roots has just answered your needs. Hopefully, they start a trend and more locations like the one in Colorado Springs start popping up.